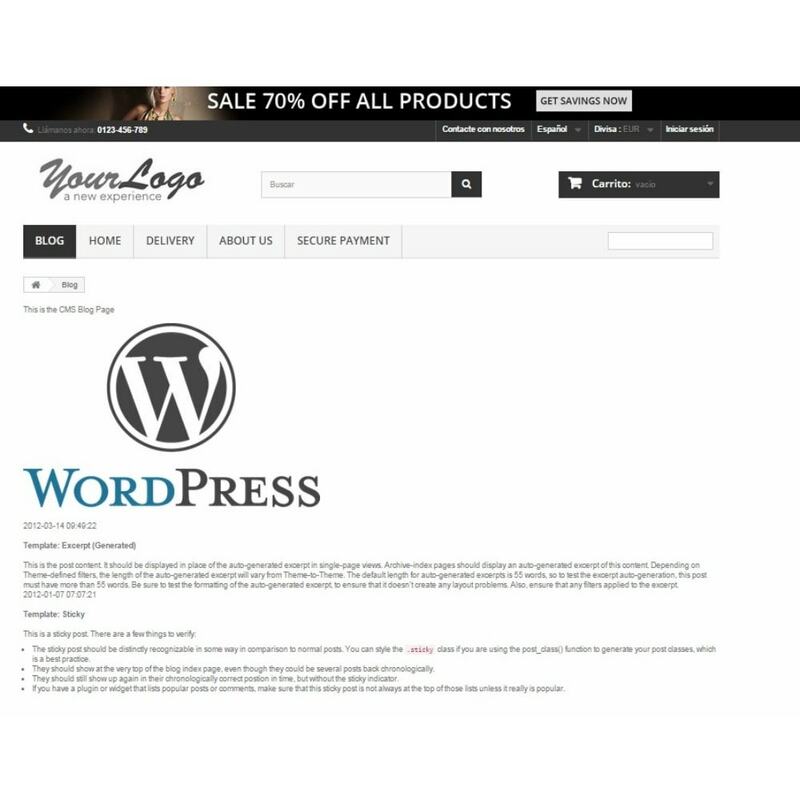 You can integrate your WordPress Blog into PrestaShop, so content of your store will be updated more frecuently. 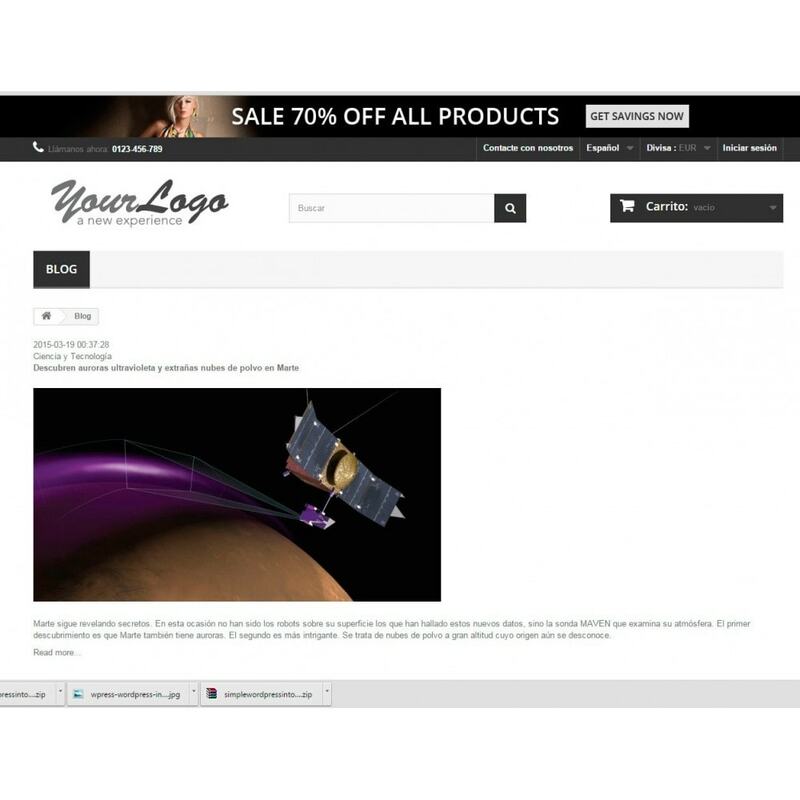 - Compatible with Prestashop CMS Page Styles. 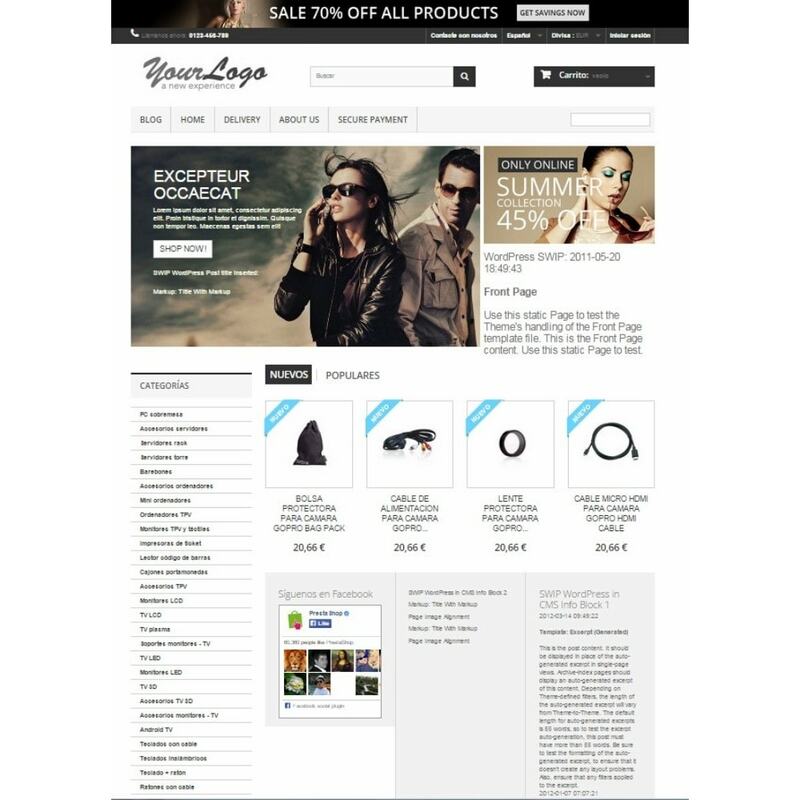 WordPress content will be inserted in any PrestaShop page, such Home Page, CMS Page, lateral top or footer hooks, etc. 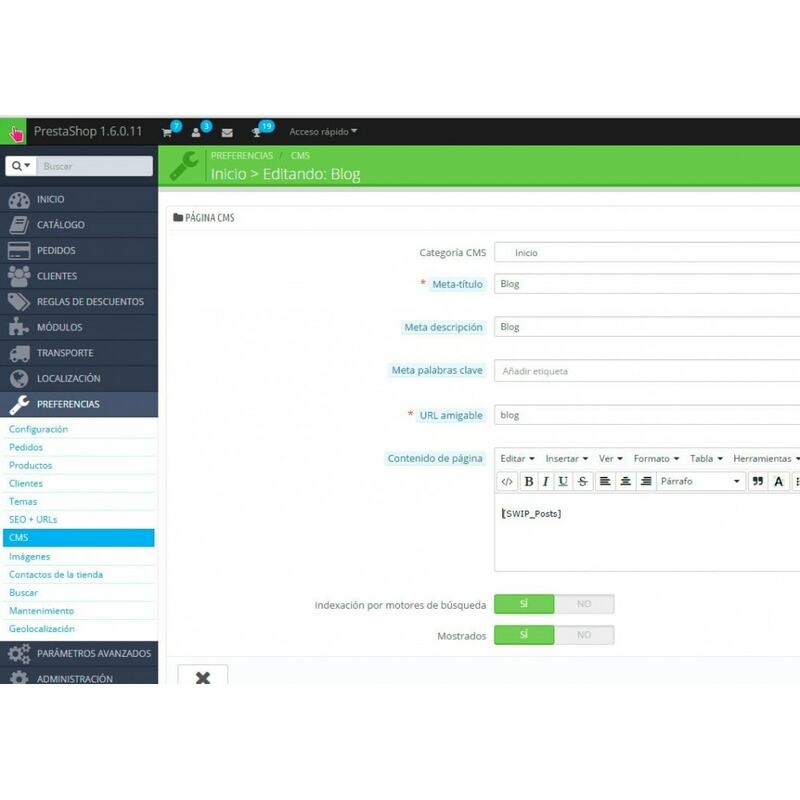 You can insert posts or pages adding simply shortcodes directly into any BackOffice module textbox or text editor. Thats All! 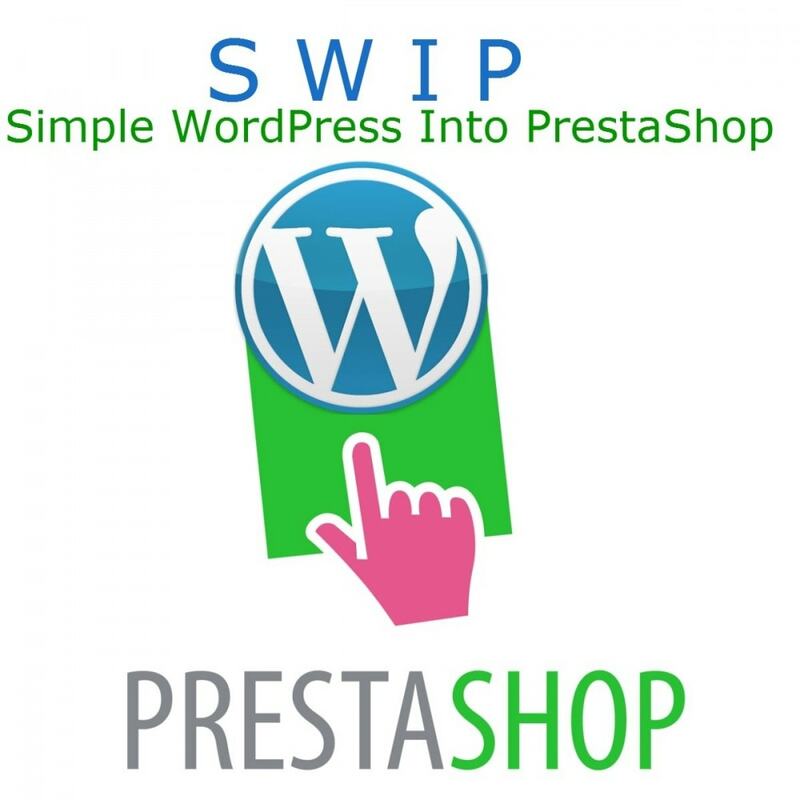 You can create a WordPress Blog and insert Posts and Pages into PrestaShop extermely simple. 1. Upload files to your PrestaShop installation.